The ultimate comfort food. 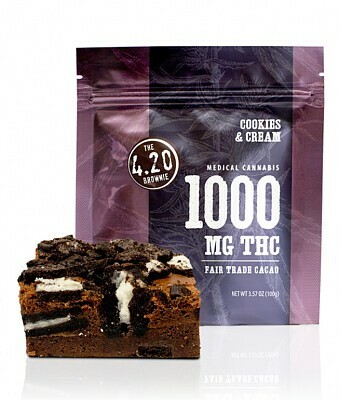 Baked chocolate goodness with crunchy cookies and California-grown cannabis. You’re gonna need a tall glass of milk and a spot on the couch. For experienced consumers only. Ingredients: Butter, Chocolate Chips, Sugar, Brown Sugar, Flour, Eggs, Chocolate Sandwich Cookie Crumbles, Cannabis Oil, Salt.